Southbank is further consolidating its position as Australia's high-rise capital, with another landmark tower mooted, this time for a site near the corner of City Road and Clarendon Street. 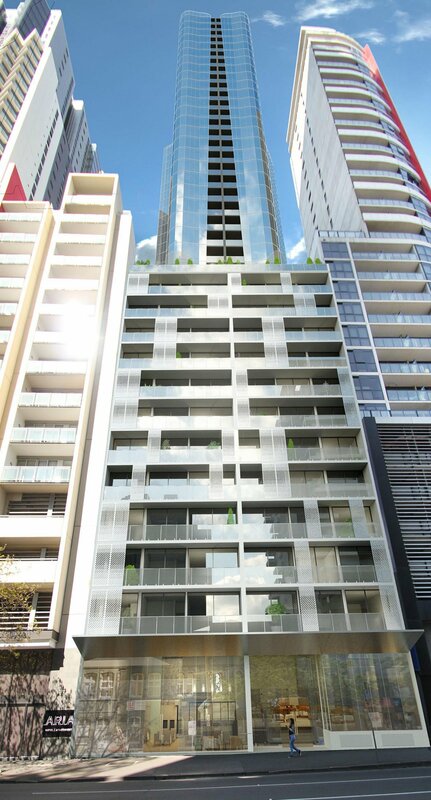 The proposed apartment building at 293-297 City Road will rise 81 levels, or 259 metres, making it taller than the 72-level Prima Pearl building, which has just finished construction, but shorter than the 92-level Eureka building, completed in 2006. The country's tallest proposed residential building is earmarked for a nearby Southbank site; Australia 108 will rise 100 levels, or 319 metres, from the corner of City Road and Southbank Boulevard. Last December, James Packer's Crown Casino teamed with Melbourne developer Schiavello Group to propose an 84-level apartment building and hotel at 1 Queensbridge Street. Last month, the new owner of Hanover House at 158 City Road applied to increase the height of an approved apartment building from 44 levels and 464 apartments, to 66 levels and 722 apartments. Thirty-eight Southbank Boulevard has also recently been the subject of a 71-level, 846-unit planning application. By comparison, 293-297 City Road is proposed to offer 532 units atop ground-floor shops and a 173-bay car park. The site is currently a low-rise car rental yard. Vinci Carbone agent Frank Vinci, representing the owner, says it has been approached by several parties proposing a joint venture development for the tower. If approved, the owner will decide whether it will seek a JV partner or develop solo, he said. which one is 38 Southbank Boulevard again? 38 Southbank Blvd doesn't seem to exist. I think the article was reffering to 38 Freshwater Place which is part of 25-35 Power Street. That was such a fantastic design. I think we need to make do with all the current approvals we have at the moment. As long as this government is in, Southbank's time in the sun is over. when do designs like this come along ? 70 levels stated on Crone Partners website. I fail to see what difference 11 levels makes. Les, you most eloquently capture the spirit of critical urbanism espoused by so many on this forum. This would be the last project I'd expect to see approved, sadly..